Join Willa from Little Bitte & Phoebe from Weatherlow Florals @ World’s Fair Gallery, 268 Broadway in Providence, RI to bring spring indoors! 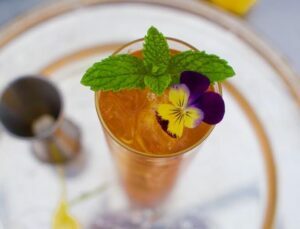 Learn to make 2 cocktails with fresh spring ingredients from the farm & build your own potted bulb arrangement to bring home with you and enjoy in the coming weeks. The lovely textures and scents of heirloom narcissus, hyacinths, and other spring pretties will abound! Cocktails, bites, all materials & instruction included. 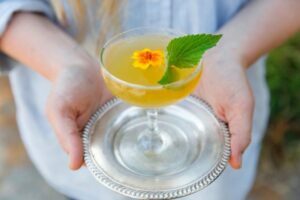 Learn to make 2 botanical cocktails with fresh herbs and build your own terra cotta container garden with farm-grown varieties of lavender, sage & rosemary. Learn tips and tricks about caring for your kitchen garden and go home with fresh herbs to brighten your cocktails & cooking recipes through the rest of the season. Cocktails, bites, all materials & instruction included. 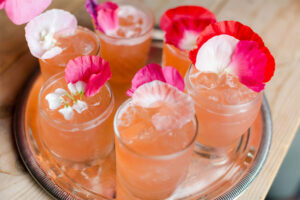 Join us in the barn at Weatherlow Farms in Westport, MA and learn to make our favorite sparkling cocktail recipes with fruity and floral cordials, fresh pressed juices & edible blossoms from the farm. Tour through the greenhouses and flower field, harvest the best of what the garden has to offer, and learn to design your own Mother’s Day bouquets to bring home with you. Mothers, daughters, sisters, sons, friends: all are welcome! Register now, this one sells out fast! Cocktails, bites, all materials & instruction included.